Website: . . . visit the website . . . Serving: Albuquerque New Mexico and beyond. 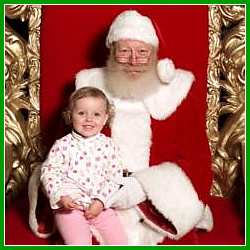 Santa Chris is a Santa that comes highly recommended for your Albequerque New Mexico Holiday celebration or Christmas Event. This old Saint Nicholas has appeared at business grand openings, private homes, restaurants, schools and churches, parties and community celebrations, birthday parties, parades, and more. The Christmas season would not be complete without letting your little ones tell Santa their Christmas wish – Don’t delay and book Santa Chris today!